It’s Canal Fest time again, and you won’t want to miss tonight’s (7/22) annual Car Cruise, beginning at 6 pm on Main Street in the City of Tonawanda, and across the bridge on Webster Street in North Tonawanda. This 1966 Mercedes-Benz 230 SL was one of many interesting rides there a couple of summers ago. 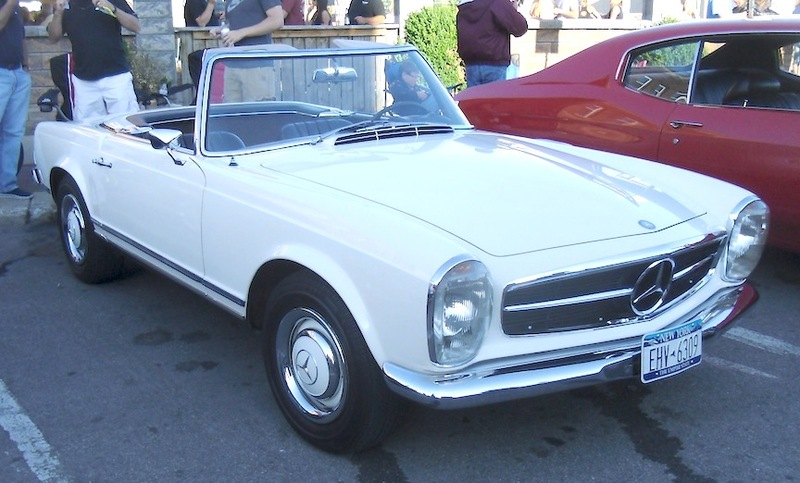 One of the prettiest little convertibles to ever hit the road, this one sports European headlights, which looked much better than the Americanized versions our federal government mandated back then (see photo). And see you there tonight! Jim Corbran, RRofWNY …and check out our Facebook page: Un-American Classic Cars The post RealRides of WNY appeared first on Buffalo Cars.